Hope everyone had a great weekend. Hubby and I had a pretty low key weekend, which was great for me. I’m in serious need of more down time. We pretty much just relaxed, took care of a few things around the house, and enjoyed some good eats. We did get the chance to make it out to a neat exhibition in town – Mummies of the World. I’ve watched a couple historical shows on mummies recently, so it was interesting to see in person. 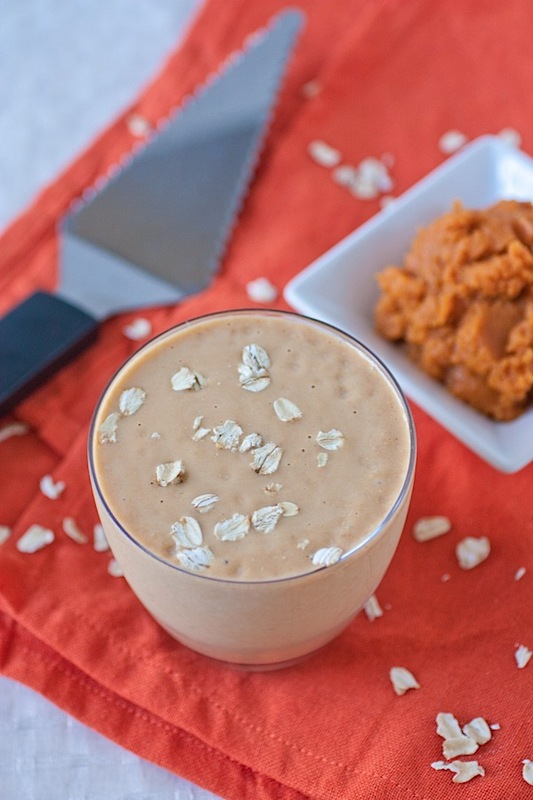 Anywho, I made something fun this weekend and wanted to share with you guys…a delicious Pumpkin Pie Smoothie recipe. I realize it’s a bit late in the season (or completely past the season…whatevs), but timing hasn’t always been one of my strong points. I had a can of pumpkin I didn’t want taking up space in my pantry till next fall, so I decided to go ahead and open it for some everyday eats. I based the smoothie on my Blueberry Pie Smoothie with a couple simple ingredient swaps. Pumpkin was obviously the star ingredient, but I also added one of my favorite, staple smoothie ingredients – banana. I think bananas give smoothies a nice texture and add natural sweetness, so I like to include them in most smoothies I make. 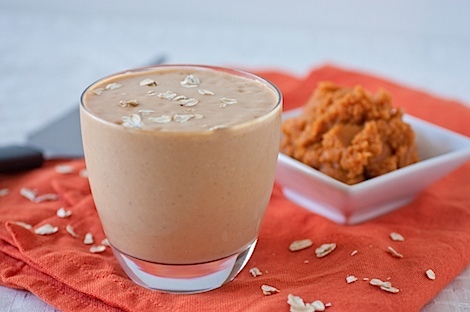 Here’s a great way to use leftover (and healthful) canned pumpkin. I did a play on my Blueberry Pie Smoothie with a new flavor profile. 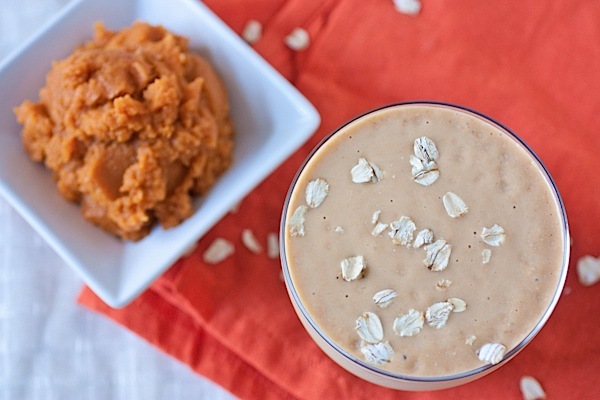 You could add canned pumpkin to any ole smoothie, but paired with oats, cinnamon, and vanilla, you get a more pie-like flavor, which is way more fun. Combine milk and oats in a medium bowl/pyrex and let rest in refrigerator for 5 minutes. 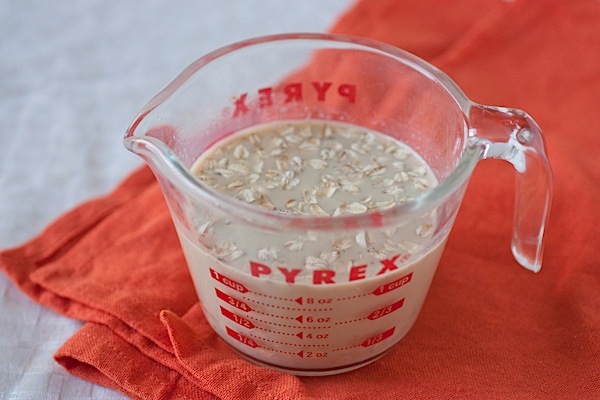 Combine milk/oat mixture, banana, pumpkin, ice cubes, and cinnamon in a blender. Blend till ingredients are combined and smooth, about 1-2 minutes, or until smoothie reaches your desired consistency. Reader question: Do you only eat pumpkin in one season or all year long? I’m an all-year-long pumpkin lover…stocked up on three massive-sized cans at Sam’s Club (and a few pumpkin spice candles) to get me through until next official “pumpkin season”! I love it all year long..thanks for the great smoothie idea! oh-em-gee! 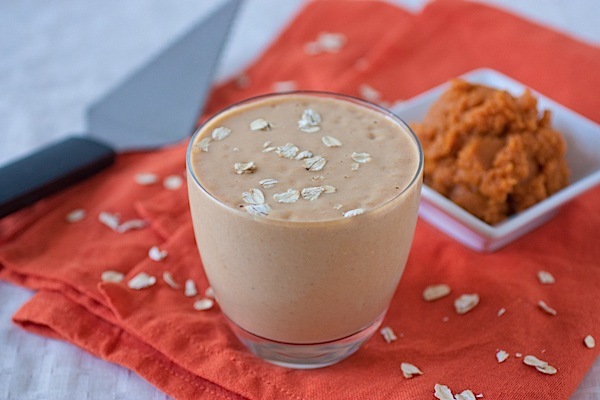 That looks delish…now I want a pumpkin smoothie. yum. yum yum and more yum! All year long for me! I have like six cans of pumpkin left over from the Fall 2011 pumpkin binge. I swear I bought a can every time I went to the grocery store. Definitely making this today! mmm! i eat pumpkin year round. 🙂 ever since the pumpkin shortage of 2009 i’ve kept a few cans in the pantry post christmas on purpose. this looks great. i’ve always wanted to try pumpkin smothies but never have. I love pumpkin all year long! I love the taste plus it’s so good for you.